There are some wonderful resources available to assist you in your work with children and families: books, graphics, multimedia, programs and more. And Only144 have launched a new overstock website - www.childrens-ministry-deals.com with new deals every week with savings of up to 90% on some of these great resources. This week features Kidz Graphics- 150+ professionally designed graphics for $25, Name it Powerpoint Games reduced to $14 (was $34.95) and Creative Arts Camp program reduced to $20 and more... Be quick for these special deals. It's impossible to avoid..administration. Forms, letters, assessments, job descriptions, references, reports, lists, lesson plans, evaluations... and the list goes on. But time-consuming as admin is, it's also important. Well-prepared enrolment forms, sign-in sheets and procedures tell parents that the safety of their children is important to you and your children's ministry. Appropriate followup letters, emails and thank you notes remind the receiver that they are valued and an integral part of the team. Readily available forms such as reimbursement forms enable volunteers to submit invoices and receipts for ministry purchases without embarrassment and ensure that they are refunded quickly and efficiently. All these administration tools really do have an important role in the smooth functioning your ministry. So, we are gradually building up a collection of helpful forms in the 'Downloads' section of our website. Please download any files there that may assist you in your ministry and allow you to focus more of your valuable time and energies on children and families. Group produce 'Slime Time', a Family event kit that you can organise as a Halloween alternative. Group states. 'With a minimal number of volunteers and supplies, you can reach kids and families at a fun, relaxed event...with a purpose! After the event, our proven follow-up plan will make it a snap to remind families of the connections they made and encourage them to come back for more.' Includes: Directors manual, Leaders' guides, CD with clipart, decorating and sound effects plus sample Bible Buddy Collector Cards, Followup Foto Frame, Goody Bag, Test Tube-a-Loon, Neutron Ball, Slime Time goggles, Incredi-Ball, glow Cross necklace. So, plan on some great fun interacting with families and friends as everyone laughs, play games, and hears about God's love with Slime Time. Have you been searching for alternative resources and programs to use at Halloween? 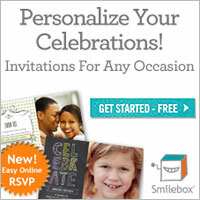 A growing number of resources have been produced for this event or any special occasion. We'll highlight two in this post and more in the next few days. Friends and Heroes have produced two exciting Party Packs especially for churches and others to use on 31st October- or anytime. 'Bringing some Gospel light into our increasingly dark world, Bright Sparks Party Pack focuses on light - the Pharos lighthouse at the entrance to the harbour in Alexandria and on the 'Bright Spark' of Friends and Heroes, Sollie, a friend and neighbour of Macky. This pack features two important Bible stories: David and Goliath and God releasing Peter from prison which inspire our heroes in the story and will inspire your young people too. Building on the success of Bright Sparks, Friends Forever! Party Pack concentrates on the theme of friendship and offers children an opportunity to become a "Friend of Jesus" forever. Based on Episode 1, Long Journey, of Friends and Heroes, this party includes two Bible stories: Daniel in the Lions' Den and The Miraculous Catch of Fish (Jesus calls the Disciples). Both packs can be ordered as a complete pack including the DVD or as a downloadable file, for those who already own the DVD. Simply and easily create online event registrations for your events, whether for 10 children or 1000, when you use Eventbrite or Eventarc. Both of these online programs are FREE for free events and, for those with an attendance cost, will allow registrations and tickets to be purchased online for a minimal fee. Eventarc (an Australian company) also has Donations & Merchandise modules also well as Sponsorship pages. In less than 30 minutes, you can set up your event with all your details, add your logo and graphics and include location information with a Google map. Add the registration link to your website or include it in an email and spread the word easily using the social media links within the program. Eventbrite also provides special email invitations to be issued and once registered, email reminders or followup emails can be sent. Add countdown buttons and event calendars to your site to further promote your event. Sign-in sheets and name badges can be printed from the program ready for your event. Both of these programs have a free iPhone app which allows you to scan tickets for attendance, monitor attendee numbers, and access sales and financial reports. Eventbrite allows you set an event as repeating with a click in a box while Eventarc events are set as repeating by copying the event for different dates. This means that you can use the programs for Sunday morning programs, allowing parents to register their children either from home or using check-in stations in the foyer or using mobile devices. Pretty versatile? As the end-of-year activities hover on the horizon, it might be worth a bit of time to check out the potential of these programs. We're rapidly approaching that time of the year that's filled to overflowing with activities and events squished into the school holiday break or scheduled for the last term of school and the-of-year events. It's generally around this time that you remember that you'd planned a orientation session for new volunteers for children's ministry. Or maybe you're planning to speak to a group who have expressed an interest in children's ministry involvement and you just don't have time to organise anything. Don't panic! Download this simple 'ABCs of Children's Ministry' handout and use as the basis for your inspiring talk with these volunteers. A presenter's sheet has been included and you can add or elaborate on the simple points to highlight important aspects of how you and your team organise and structure your program. Although many of the points seem self-evident to you, for someone new to this ministry it's helpful to emphasize these ABCs. Even simple points are important and worth mentioning. For example, it's really important to remind volunteers to 'Arrive early' and in plenty of time to set out their resources, gather their thoughts and pray before the kids arrive. Yes, through God's grace, we have tremendous opportunities to impact lives for eternity but so often our actions and behaviour will speak more eloquently than our words and many of the points in this handout emphasize this. I am reminded of a little girl in one of our programs who came quietly up to where I was focused on organising and setting up the multimedia desk for our program and stood silently beside me. I turned quickly and said in surprise, "Oh.. Belle! I didn't notice you there!" 'No," said Belle, "But, I noticed you." And kids will. They will notice your voice and your interest in them and how you handle problems and frustrations and whether you take time to really listen to them and show Jesus' love to them in actions, as well as in words. Remind your volunteers not to short-change these kids... to some of these kids, you are the most important part of their week. When it seems you have nothing to bring, what gift can you give the King? If you're looking for something to add to your midweek Christmas party or to include in the end-of-year events for your children's ministry, then this could be just the thing. The kids at our church have been enjoying The Great Race (Elevate kids) and along the way they've been learning what the Bible has to say, through the story of Nehemiah, about not giving up. Sunday, Week 3, was about enemies opposing Nehemiah and the people and it focused particularly on bullying. This struck a real chord with the kids and they wanted answers about how best to handle the bullying that most of them encountered, at varying degrees, at school. Last month, we highlighted communication with church families and the community and reviewed 'SmileBox', a program that turns your photos into memories to share with others. ( See here for more details .) The simple, downloadable program provides templates that let you quickly and easily create slideshows, invitations, greetings, collages, scrapbooks and photo albums of your children's ministry activities or upcoming events. Share on Facebook, email, blog, website, burn to dvd or print. And now, they have produced a new iPhone app so you can share your moments on the go as well. Although not as extensive as the full program, it does mean that you can take your photos, add embellishments and email in a matter of minutes. Plus you'll receive a copy via email link that you can insert into your webpage or blog.... Easy.